Based in San Diego, CA. I am a budget-friendly Interior Decorator. 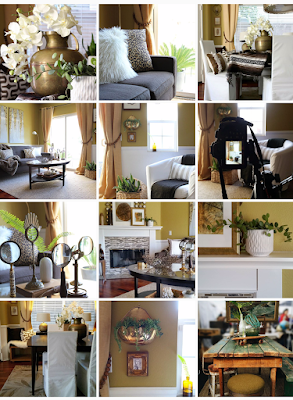 I make sense of all of your home decor ideas and help you achieve a cohesive look in your home. I shop in all the places you like to shop which means that I work with your budget. I have different options based on what your needs are. I have 1 day consultations where I can help you create a better looking environment with the things you already own. I have custom e-designs available which is a fantasic and affordable option. And of course, I can also help you with the whole enchilada! Feel free to contact me by filling out the contact form in the bottom of this page. I will be more than happy to answer any of your questions. Do you love Instagram? I DO! Follow me on Instagram at OscarBravoHome. I spend about half of my life there. Click on my feed below to get you there. Beautiful space, you did an amazing job! Love the navy blue room, it looks amazing! Yay, Oscar!! So excited to see your new site:) The blog world NEEDS your style and humor. Congrats!! Me encanto tu pagina! Saludos desde Mexico, el dia que estes de paso por aca tendras que darme muchos consejos! Naye!